Back in February there were 15 national football federations expressing interest in hosting the 2019 UEFA finals. Several of them decided not to pursue official candidacy, including German DFB, Scottish FA, as well as the federations of Czechia, Lithuania and Georgia. This leaves 10 national football associations competing for four major European games in 2019. The Champions League final will be decided between just two candidates, both of them new stadiums. The Baku Olympic Stadium has already held international events, leaving some to speculate that Wanda Metropolitano could be the stronger candidate, especially with Baku hosting Euro 2020 just a year later. 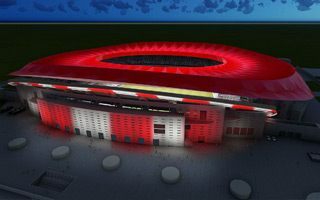 Europa League final in 2019 will see Baku compete again with a Spanish stadium, except this time it's the remodelled Estadio Ramon Sanchez Pizjuan. The third candidate is Vodafone Park in Istanbul, which for the purpose of the hosting rights would be renamed Besiktas Arena (like every venue with existing naming rights deal). Women's Champions League will end the 2018/19 campaign either in Budapest or distant Astana, a city with an ultramodern stadium still waiting for a major international football event. Finally, the most competetive race is that for the 2019 Cuper Cup game. Of the 10 stadiums from February's list of interested parties now 7 are left: Arena Gdansk (Poland), Arena Kombetare (Albania), Astana Arena (Kazakhstan), Besiktas Arena (Turkey), Sammy Ofer Stadium (Israel), Stadium de Toulouse (France) and Windsor Park (Northern Ireland). The host cities and stadiums for each of these 2019 games will be selected during UEFA Executive Committee's meeting on September 21, 2017.